For the normies out there, summertime can mean cold wheat beer, margaritas, and chilled white wine. But sobriety can be an opportunity to discover other terrific beverages that have a subtelty and complexity that I’d call “adult” despite their inability to give you a buzz. I’m going to discuss a couple of these that I love, but please please add more in the comments! 1. 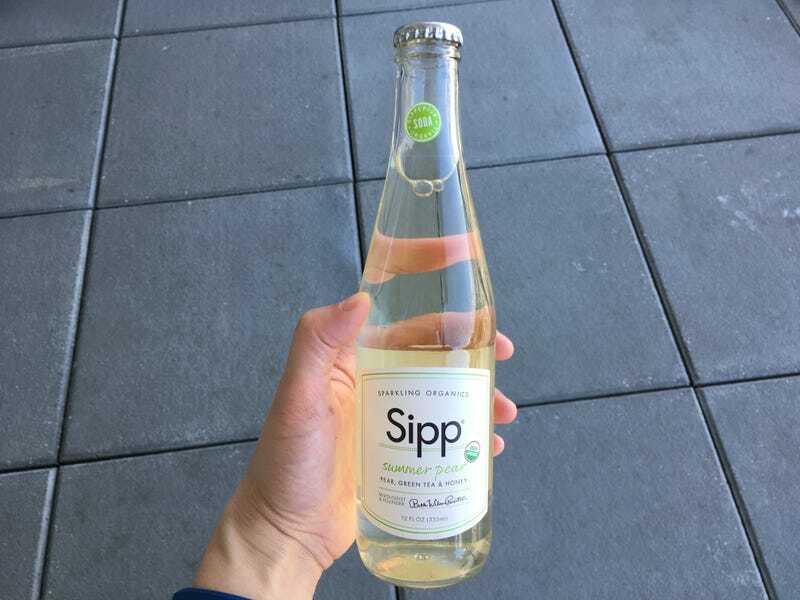 Sipp’s summer pear soda. This is a refreshing summer drink with light flavor and, even more importantly, restrained sweetness. I’ve grown to love this chilled and poured into a white wine glass more than I ever loved white wine. They can be purchased one at a time at your local BevMo or similar store, and I recommend bringing them to any social event where you expect to be offered white wine. Pour this in the glass instead. It’s delicious, and no one will even know the difference. 2. Dry Sparkling’s cucumber soda. I’m sensitive to sweetness, so I find this slightly stronger than I prefer. Nonetheless, this is a soda with subtle and satisfying cucumber flavor. It is terrific in a cold glass on a hot summer day. For anyone looking for a substitute for sweeter chilled wines, this could be your go-to. It’s a sophisticated beverage that drinkers and non-drinkers alike will enjoy at a picnic.